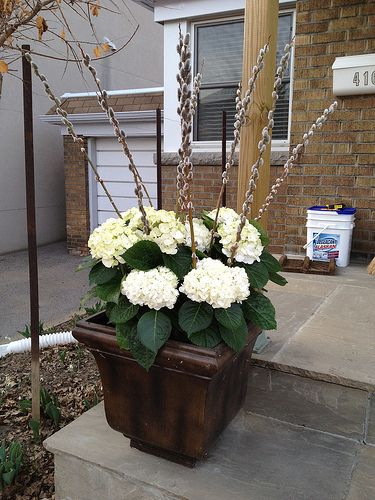 I knew that this could happen, but I just couldn’t pass up the pretty when I saw them… hydrangeas for my porch planters! I put these out on the weekend of March 17-18, and the week that followed was insanely warm. 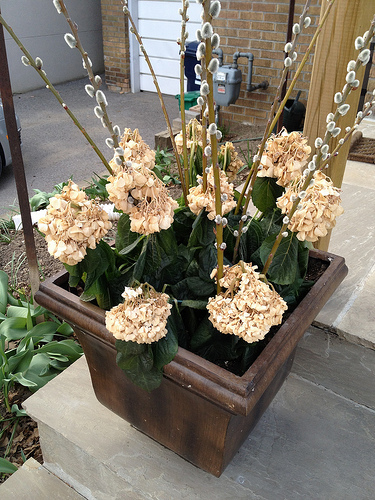 I wasn’t terribly surprised that it got quite cold again for a couple days, but I didn’t really know for sure how sensitive to freezing hydrangeas would be. This is the first time I’ve tried them out. 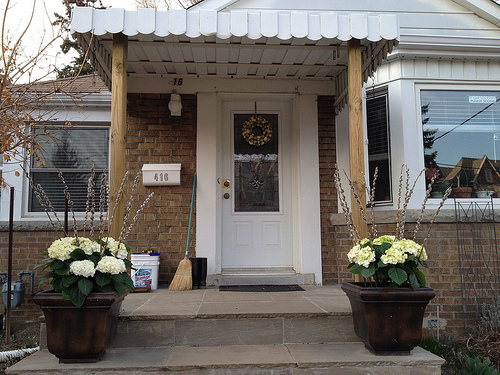 I was so pleased with myself to be the first on my street to update my planters (as in, I didn’t have to wait for my hired gardener to make the rounds and refresh my planters). I guess now I’m the one eating humble pie. Because last night they froze. Hard. They looked sad this morning. They looked downright wretched by tonight. It was not an inexpensive mistake either. I guess I’ve learned my lesson on this one! Next Post Taking it national baby!